Designed to offer the utmost convenience, durability and style for traveling artists or shared spaces, Speedball’s Pencil & Artist Accessory Cases are available in an array of sizes, styles and configurations. 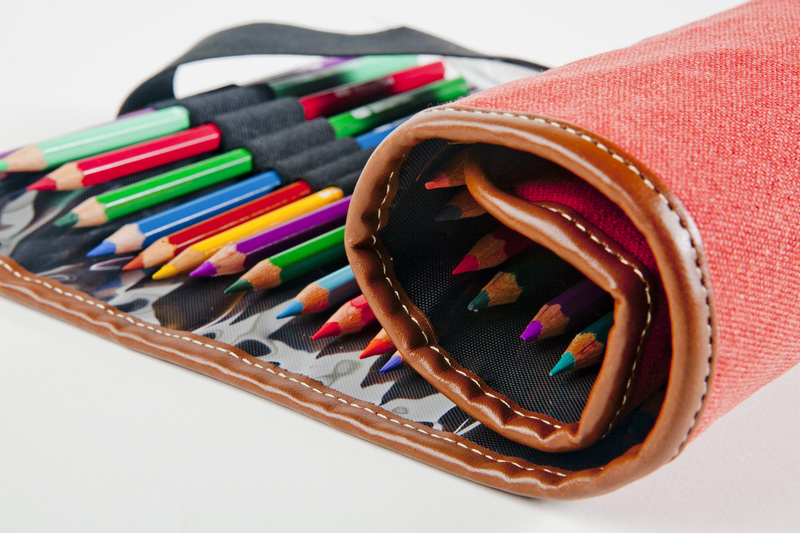 Durable and compact, Speedball Pencil Cases are available in leather or woven canvas. Our smallest Pencil Case can hold (24) pencils, with storage variations allowing for (48), (72), (96) or even (120) pencils. Offered in an alternative profile and design, Speedball Travel Cases are the perfect solution for coloring and sketching on the go. Featuring a canvas construction finished with genuine black or brown leather, Speedball Travel Cases have the ability to store a sketch pad, journal or coloring book in addition to pencils, pens, pastels or crayons. Available in (2) sizes across (4) colors. 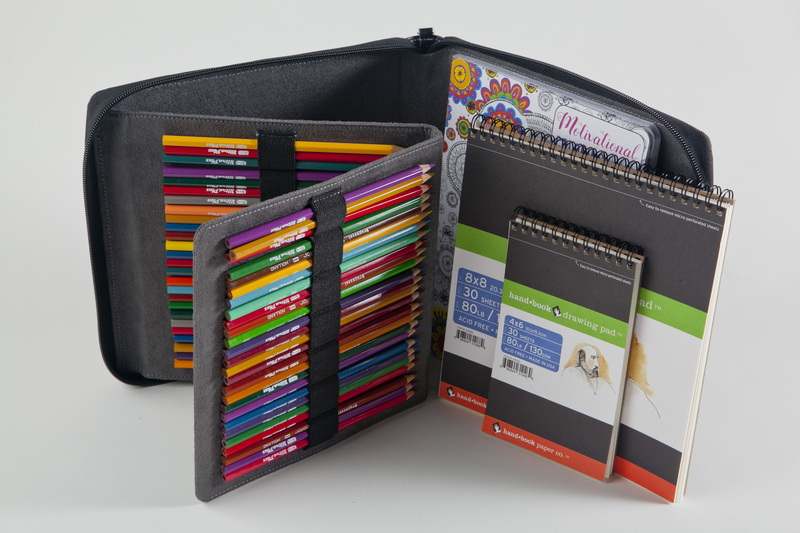 Featuring the same finely-woven canvas used in our traditional Pencil Cases, each Roll-Up holds up to (36) pencils. Providing the utmost in storage space efficiency, Speedball Pencil Cases include a heavy-gauge elastic band that securely snaps in place between uses, and feature protective inserts lining the top and bottom to guard against damage and breakage of the pencils inside. Available in Olive, Denim, Rose and Black. Hand-crafted with top grain leather, these cylinder cases are a long-lasting solution for storing and transporting a variety of artist tools including pencils, markers, erasers and brushes.